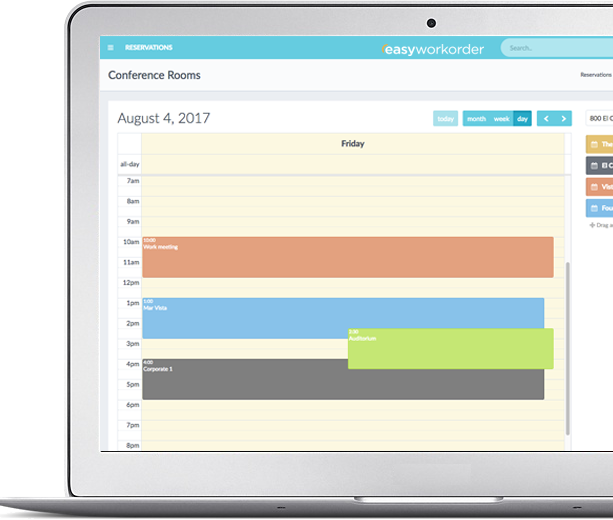 Easyworkorder makes it easy to provide your users with the ability to setup and schedule virtually any type of resource: conference rooms, loading dock, freight elevator, to name a few. 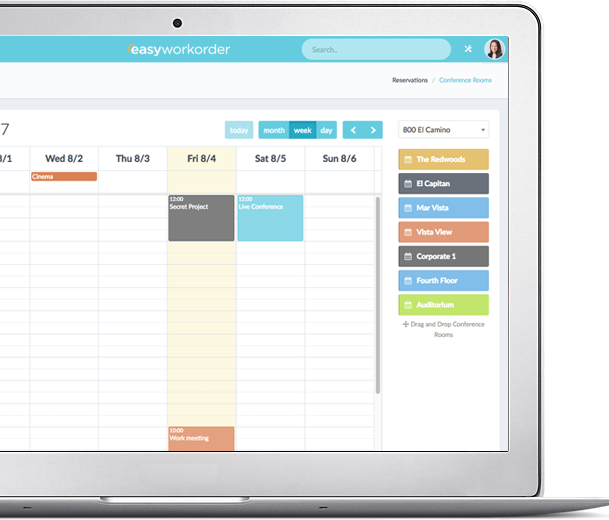 It also includes some other key features that enhance its power, like: drag event to different day or time, color coding resources, weekly & daily views. View your resources’ schedules by the week, with the same drag-and-drop functionality. 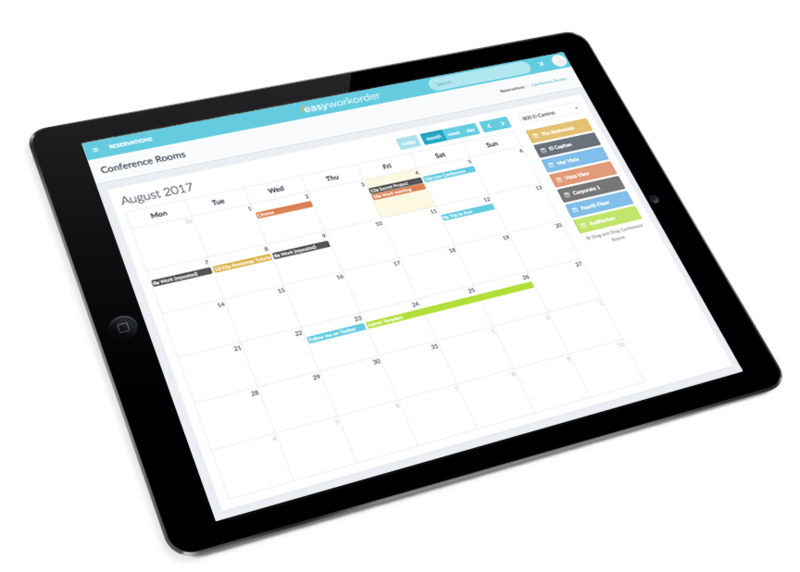 View your resources’ schedules by the day, with the same drag-and-drop functionality. Get notified immediately when any resource reservation has been made. Your tenants and users can access and schedule the resources you’ve made available to them for their building, or across other buildings. Easily make conference rooms, freight elevators or loading docks available for scheduling and save time while being kept in the loop with reservations. Get a real-time monthly view of all resource reservations. Or get a real-time weekly view of all resource reservations. Or, if you prefer, view a real-time daily view of all resource reservations.